Howdy and welcome to ExoticGold Jewelry. A place to find the most sought-after Jewels from around the world and certified gems of every kind. We sell the finest quality gems and heirloom-worthy pieces in 22K & 18K gold and platinum. 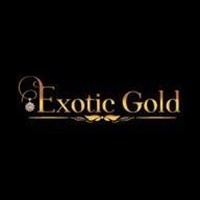 At ExoticGold jewelry, it is our desire to help our clients find the perfect piece of jewelry for their loved one or for that special occasion. We are a family owned business located in Texas, USA. We strive to provide exceptional customer service and a positive buying experience for all our clients. We hope you will give us the chance to serve you with all your fine jewelry needs. Please feel free to contact us with any concerns or queries. We are here to help.